In the world of U.S. politics, few names carry the weight and political clout of Bill Clinton and Al Gore. These two men have been some of the most notable figures in the glorious and sometimes turbulent current day political landscape of the United States, and the fact that they came together as President and Vice-President respectively didn't escape the attention of many, particularly since both were seen as being remarkably similar to one another. That being said, they do have some differences and this comparison article covers some of the more basic ones. 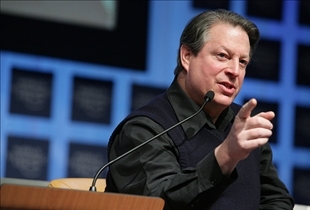 Al Gore was born on March 31, 1948 to U.S. representative Albert Gore Sr. and Pauline LaFon Gore in Washington D.C. He attended St. Albans School from 1956 to 1965, after which he enrolled in Harvard University with a plan to major in English. He later decided to major in Government instead, and it was during his senior year that a class on oceanography encouraged him to take an interest in global warming and other environmental concerns. Gore graduated in June 1969. 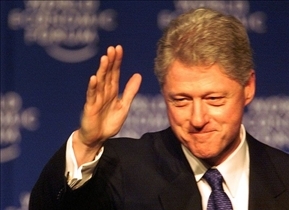 Bill Clinton was born on August 19, 1946 in Hope, Arkansas as William Jefferson Blythe, III. His parents are William Jefferson Blythe, Jr., and Virginia Dell Cassidy. His father died three months before he was born and his mother left Bill in the care of his grandparents in order to study as a nurse. He attended St. John's Catholic Elementary School, Ramble Elementary School, and Hot Springs High School before he managed to earn a scholarship to the Edmund A. Walsh School of Foreign Service. It was there that he received a degree in Foreign Service in 1968. He then won a Rhodes Scholarship to attend the University College in Oxford, although he would leave before finishing his studies in order to attend Yale where he was awarded a Juris Doctor degree in 1973. After a stint in the military in which he strengths and weaknesses action during the Vietnam war, Al Gore attended Vanderbilt University Divinity School in order to explore what he said were "spiritual issues". This was against the wishes of his parents who wanted him to go to law school instead. Gore also worked as an investigative reporter for The Tennessean, although he would take a leave if absence in order to attend Vanderbilt University Law School in 1974. Clinton graduated from Yale Law School and worked as a professor at the University of Arkansas. After a year, he ran for the House of Representatives, although he was beaten by a close margin by incumbent, John Paul Hammerschmidt. Nevertheless, Clinton would go on to be elected Arkansas Attorney General in 1976, and subsequently, Governor of Arkansas in 1978. Clinton was the youngest state Governor in the United States, having assumed office at the age of thirty-two. Al Gore served as Vice-President of the United States during both terms of Bill Clinton’s Presidency. He was at first hesitant to become Clinton’s running mate, although a conflict with the (George H. W.) Bush government over global warming concerns made him accept the position. Gore is widely considered the best Vice President in the last twenty years. Clinton’s Presidency was marked by advocacy of various programs and controversy. The Monica Lewinsky scandal resulted in an impeachment trial, although he was later acquitted and served out the remainder of his term as President of the United States. Widely considered the best vice-president in the last twenty years. Which politician is more famous today? American Indians vs. Native Americans: Whose Preference? Arabs vs. Muslims: What's the difference?